WAITING LIST ONLY - Please email Andrea at andrea.silva@cdiphila.org. This private lunch for Citizen Diplomacy Circles members presents an intimate opportunity to meet an inspirational political change maker who is working to make Tel Aviv affordable for its diverse population through the offices of social welfare and culture. Lunch is limited to 14. Register today, seats are filling quickly! 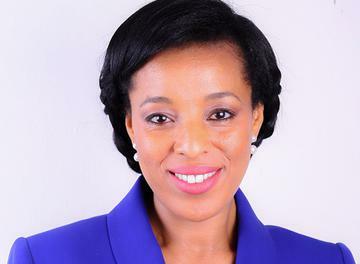 Baruch-Ron currently serves as Deputy Mayor of Tel Aviv and is the first woman of Ethiopian heritage to serve in that capacity. Her role in public service is informed by her poignant personal story of a coming to Israel as a refugee with Operation Moses at the age of 10 and pursuing a formal education for the first time. Before entering public office, Baruch-Ron was an actor, appearing in theatre companies throughout Israel and on television's 'The Ambassador' program. This exclusive opportunity is available to Citizen Diplomacy Circles members + one guest. Each $60 single ticket registration includes a single 3 course prix fixe lunch, beverage, tax and gratuity. Citizen Diplomacy welcomes Deputy Mayor Mehereta Baruch-Ron to Philadelphia as part of the Spotlight Light on Sister City Tel Aviv and in collaboration with the Jewish Federation of Greater Philadelphia's Israel70.